A sampling of postcards available in our Zazzle shop. Indulge in the intimate craft of writing by sending someone you miss well-wishes from the rugged North (and further parts unknown)! TELEPA-THÉ, Professor Marasmius' world famous tea! 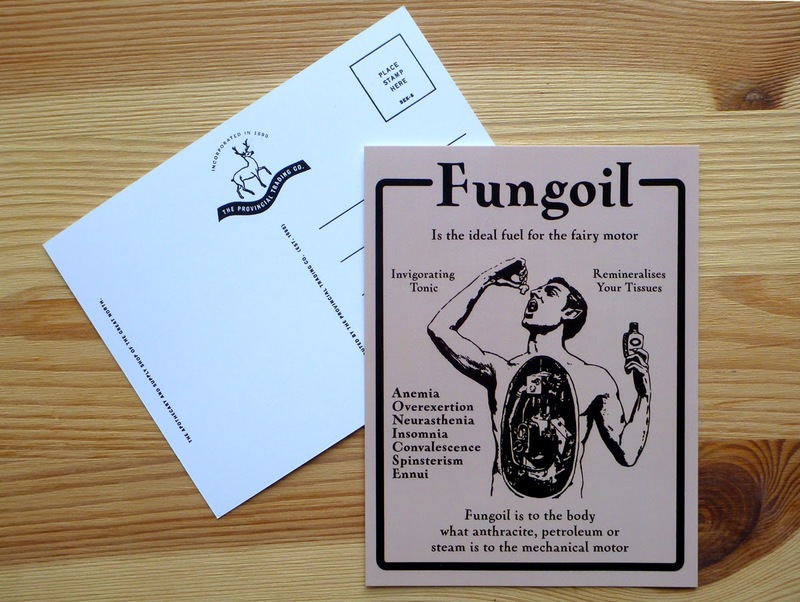 Fungoil, the miracle cure-all tailored by the Fae themselves. 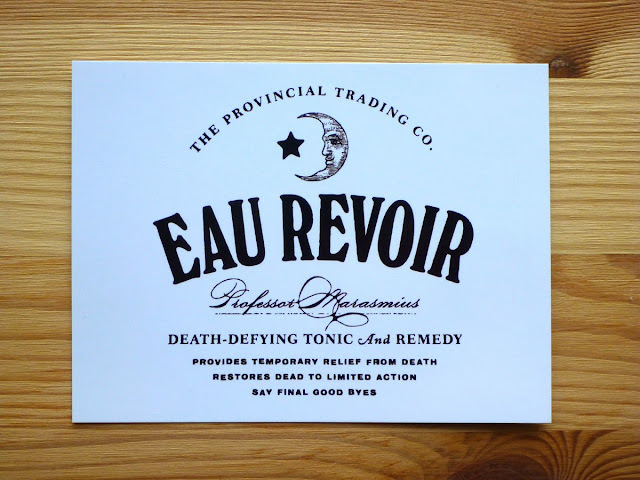 Eau Revoir, the popular beverage at wakes in rural Quebec! 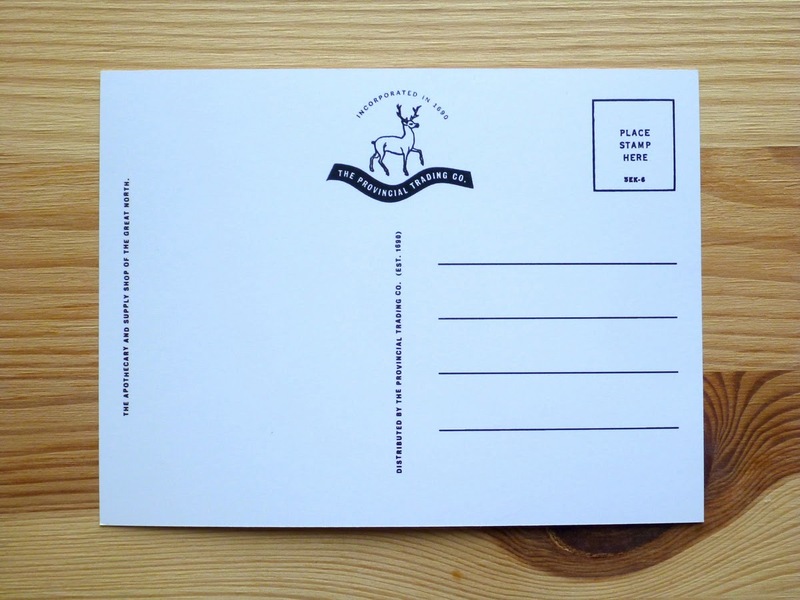 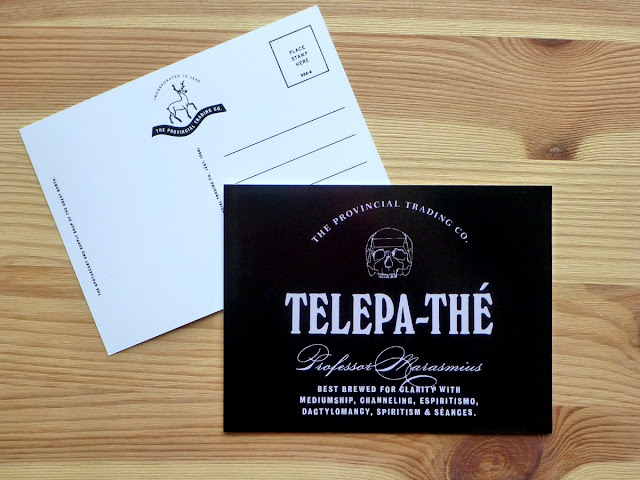 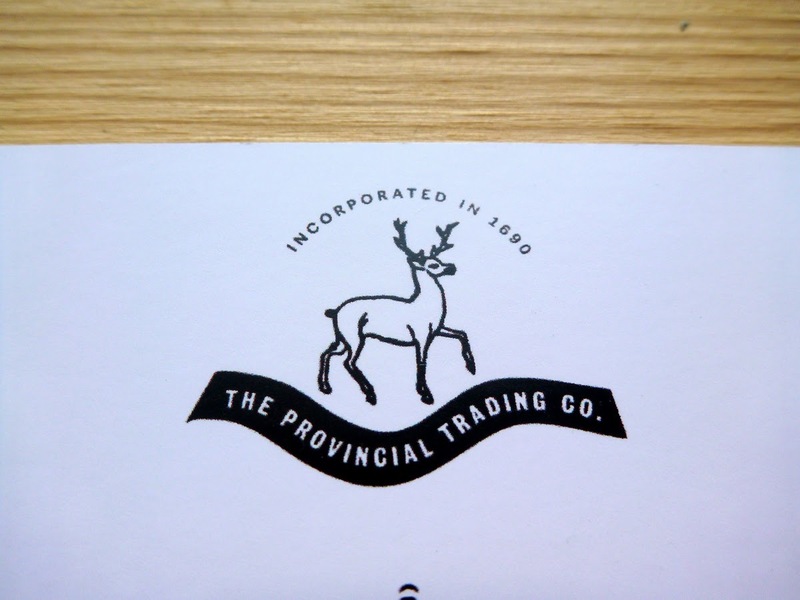 Backside of the Provincial Trading Co's postcards. The Provincial Trading Company; join us this year in our 323rd birthday!